Yesterday we had a powerful time of worship in song and proclamation of Christ's lordship over the nations. We spent time declaring Jesus' name and authority over each of our own respective nations and Germany. It was very powerful indeed. We then interviewed a couple of our people who regularly go on the streets of Frankfurt to share the love of God and the Gospel. It was great to see their passion and to hear some of their testimonies that encouraged more of our people to be part of our evangelism team. Vision - the cycle begins with seeing what the fulfillment of the desire looks like. Motivation - seeing what the fulfilled desire would look like motivates one to move toward it. Temptation is motivation in the wrong direction. It drags us away and entices us (Jas 1:14). Motivation stirs desire. We are motivated and begin to think, "That sounds good!" Conception - if temptation/motivation is accepted, it will conceive desire. We say, "I want that!" Choice - once desire is conceived we make a choice in our hearts to pursue the fulfilled desire (vision). We say, "I will go for it!" Action - once our choice has been made, we will act on our desire until it is fulfilled. The desire gives birth to action which eventually leads to the fulfillment of the desire (Jas 1:15). 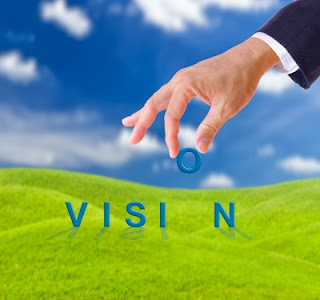 We also noted that we don't usually have just one vision for our lives but multiple visions for different areas of our lives (personal, professional, family, ministry, etc). The apostle Paul, for example, had a vision for his ministry (Col 1:28,29) and for his personal life (Php 3:10-14). We were encouraged to review what our desires are (whether they are bad, good or godly) and what it would look like if our God-given desires were fulfilled. These are the desires that God wants to give us and that He encourages us to pursue (Ps 37:4). Having vision of God-given desires fulfilled gives life and purpose. Sadly when people don't have vision, their lives fall apart (Pr 29:18).